To little surprise, Brooke Henderson is continuing to gather endorsements. The 20 year-old 7-time LPGA TOUR champion recently signed on as the first female ambassador for Full Swing golf simulators. While the agreement was first revealed on August 14th, the company pushed out the news again today, which makes sense since she also managed to pick up a title at the CP Women’s Open in the time in between. 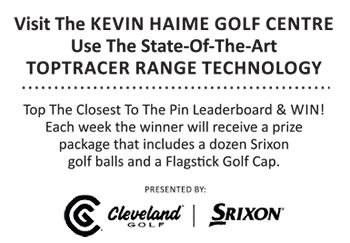 According to the company Brooke plans to utilize their Pro 2 simulator which uses both high-speed cameras and infrared light waves to track the golf ball. There is no word where she will be using this simulator, possibly back in her hometown of Smiths Falls, at her Florida home, or another location. Henderson joins a team of Full Swing ambassadors that already includes the likes of Tiger Woods, Jordan Speith, and Steph Curry. She will be involved in exclusive brand content and marketing initiatives. Henderson’s endorsement portfolio is already a vast one and includes Full Swing, BioSteel, RBC, Skechers, Google Android, PING, MasterCard, Canadian Pacific, Rolex, BMW, and Golf Town.